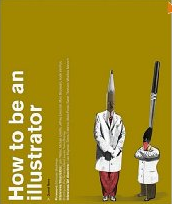 One of the more useful "how to be an illustrator" type books. Worth spending your hard earned on. Written by someone who knows (and works in the business) rather than someone who has to write a book to fulfill their research quota in a university. i am reading this book right now, although i am already a student and a starting professional but i find here some really good comments and 'true to your face' moments about organizing finances and etc. its more about how to be a professional, its not for those who illustrate as a hobby - it is not a 'how to draw' book, but i would recommend this for all students even before going to university.